Insuring Florida's kids for over 40 years. Click Here to Purchase Insurance Now! PLEASE READ THIS DISCLAIMER CAREFULLY BEFORE USING THE SERVICE. While Google's translation service uses state-of-the-art technology, it does so without the intervention of human translators. Thus, the translations provided as part of the Service are only an approximation of the Website's original content. You should not rely on Google Translate to provide an exact translation of the Website. NOT all text may be translated correctly and some portions of the Website may not be translated at all. Some files and other items cannot be translated, including but not limited to, graphical buttons, drop down menus, graphics, and photos. In addition, some applications and/or services may not work as expected when translated. The Insurance Agency has no control over the nature, content, and availability of the Service, and cannot guarantee the accuracy, reliability, or timeliness of the translation. Neither the members of the Insurance Company, School Board, the schools or employees of the School Districts, accept liability for any inaccuracies or errors in the translation or liability for any loss, damage, or other problem, including without limitation, indirect or consequential loss or damage arising from or in connection with use of the Google Translate Service. Any discreprency of Policy terms, provisions, benefits, exclusions will be settled in accordance with the Master Policy provided to the respective School District. Please click the following link if you have questions about Google Translate: http://translate.google.com/support. Scholastic Insurance of Florida, DBA School Insurance of Florida has been providing student accident insurance plans for Florida students for over 40 years. 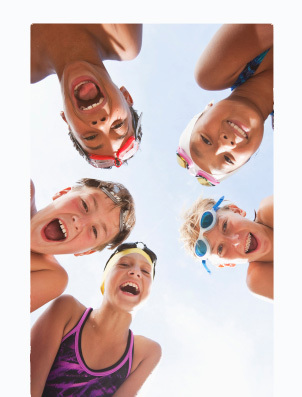 School Insurance of Florida provides student accident insurance for Public Schools, Private Schools, Summer Camps, Before and Aftercare, Pre-K and Extended Day Programs. Why should Parents or Schools buy student accident Insurance ? Athletic Catastrophe coverage is also available. We will customize a special program to fit your school’s needs. Our in-state office is licensed as a Third Party Administrator. Our office is open Monday – Friday from 8:00 AM to 5:00 PM Eastern. For more information about our products and services please contact School Insurance of Florida. 407-798-0290 or 1-800-432-6915. Copyright © 2019 School Insurance of Florida. All Rights Reserved.